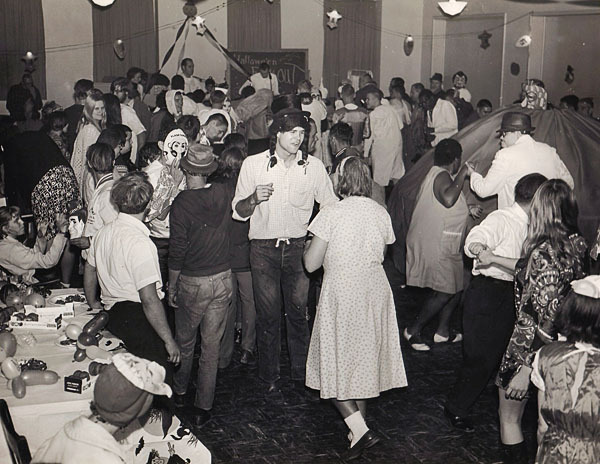 The "Halloween Freak-Out," held in Penn Hall on October 30, 1970. I can only assume that these pictures were staged unless this was b fore this institution became a hell on earth for those most vulnerable souls. Write ups are whitewashed. No mention of murders sexual assaults that took place. These buildings should be torn down souls put to rest. Some dance to remember, some dance to forget.